Happy August Everyone! Wow, is it back to school already?! Feels like summer just started. Well my youngest is in college so the days of waiting at the bus stop are over for me. Our bus stop is at the top of our driveway so even though my kids aren’t catching the bus anymore, I’m still reminded of those days, every day when I hear the whooshing of brakes as the school bus comes to a stop out front to pick up the neighborhood kids. A month ago we started receiving our usual influx of training clients that call this time of year. They’ve adopted a dog or puppy and want to get a jump on training before the summer is over and the kids go back to school and the days become more structured. Which reminded me of how a new dog or puppy or even your longtime pet can feel when faced with the change in schedule that comes with summer or end of summer when everyone goes back to business as usual. Think about it, they have gotten used to family being around more, the hustle and bustle etc. Now all is quiet.You may notice restlessness, potty accidents, excessive behaviors such as barking, digging, licking, or even destructive behaviors. Take a look at the included article “Back to School Blues” to help ease the transition for your pet this time of year and let me know if you have any questions or need any help. Remember we offer affordable daily mid-day dog walk adventures to help ease the loneliness or boredom your dog or pup may be experiencing. It would be our pleasure to assist you. We are sad to announce the passing of another beloved client. 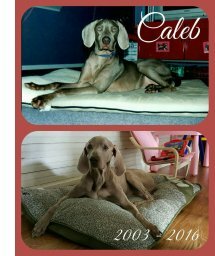 Sweet Caleb crossed the Rainbow Bridge last month. He was one of the loves of Terie's life. Caleb and his family have been a part of the Good Dog! Coaching and Pet Care family almost since the beginning of Good Dog. Caleb always greeted the sitter with a smile on his face. He was a sweet, sensitive soul, chow hound and lover of a good belly rub. He enjoyed his pack walks with his siblings and I enjoyed taking them. He was a joy to be with and we will miss him dearly. Run free on the other side of the rainbow big guy. You will be dearly missed. Pokémon GO is all the rage these days. Unless, you don’t listen to radio, don’t use social media, don’t watch tv or you live under a rock, then you have heard about Pokémon Go. A game that is played on your smart phone, whereby you go out searching for Pokéstops (a place where a Pokémon can be found) and then attempt to catch the Pokémon (mythical creatures) waiting there. Maybe you’ve seen people (players) stopped on the street or in a park staring intently at their phone in search of the nearest Pokémon and then suddenly, furiously swiping their phone screen in an effort to “catch” a Pokémon. One of the goals of the inventors of Pokémon Go is to get people out exploring and moving. Their tag line is “Get Up and Go”. Well if you are one of these Pokémon GO players why not kill two birds with one stone by walking your dog while playing the game? Think about it, this is a great opportunity to exercise and socialize your pup and it could help curb negative behaviors your dog may be exhibiting. We know that dogs, like people need and in fact are happier and healthier when they get a routine dose of exercise. It makes them feel good. If you don’t own a dog, seek out your local shelter and volunteer to walk one of their pups. They always need volunteers. 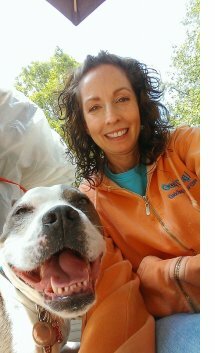 You will be having a blast while helping a dog in need. Maybe the shelter has a Pokéstop that harbors a rare Pokémon! Remember to pay attention to where you are walking and your surroundings to keep everyone safe. Hey, who knows, maybe the universe will reward your good karma by putting an elusive Porygon within your grasp! At the very least you might just meet your new best friend. Best Part of Job: I love my job! I feel so appreciated every day. "My" pets are so excited to see me. We do everything from playing soccer, going for walks, playing fetch to taking a dip in the backyard swimming pool. It's so rewarding to see those wagging tails when I walk through the door and the gentle nudges from my feline friends. All they ask for is a little attention but what I get back from them in return is unconditional love. Hobbies: In my alone time, I like to stay active by working out and I enjoy running and racing. But my family time is my treasured time. I have my husband Sean, and three girls, Katie, Sara and Maggie. And to complete my family, I have my two boys, Charlie my black lab mix, and Oreo my cat. simple how-to tips? Check out Terie and Cole's video here. 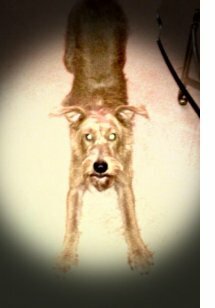 Sean is an Irish Terrier. He will be two years old on September 29, 2016 and still has a lot of puppy. Sean is an only child and spoiled rotten as many of our fur friends are these days. When he wakes up in the morning or from a nap, he likes to stretch and stretch and stretch. Sean is such a sweet boy and loves to run and play. Sean plays in his big backyard and loves to play fetch. He prefers a stick to a ball and has a favorite stick that is shaped like a wishbone. Sean is very playful and will go in circles when he gets excited. He likes to have his food warmed and he loves treats. Milkbones, Bully Sticks, Pupperoni and Chicken Jerky are some of his favorites. Sean is the perfect companion! 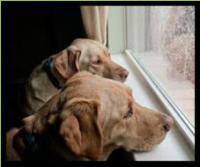 Back to School Blues… for your pets? It's not unusual for dogs - and sometimes cats - to feel blue when the kids go back to school in the fall or off to college for the first time. 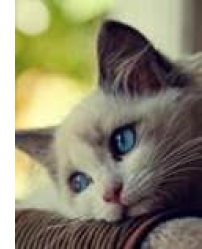 Cats can get emotionally attached to caregivers, and become distressed when their normal routine is interrupted. "Part of that emotional attachment is a behavioral expectation that the two are going to do something predictable," says John C. Wright, an animal behaviorist and professor of psychology at Mercer University in Macon, Ga. "It's important to the cat on a daily basis. You have a disruption in daily routine when someone leaves for school, a disruption in the emotional security the cat has, and that can result in both emotional and behavioral depression." those times when it's used to interacting with the person who's gone - to hyperactivity. While pet depression isn’t extremely common, these warning signs can help pet owners recognize if there is a problem. 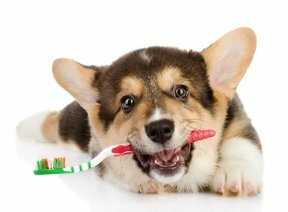 Your pet is lethargic, experiences a drop in appetite or is just not playing the way they usually do. Beware if your active, healthy pet starts moping about or your normally calm animal seems agitated. Potty accidents in the house or outside of the litter box can also signal that there may be a problem. What's the cure for depressed dogs and cats? Lots of exercise can help dogs. When a dog is exercised their body releases endorphins, I like to call these chemicals “feel goods” because they do just that, make the dog feel good as well as create a sense of calm. Actually taking the dog for a walk would be good for both of you! 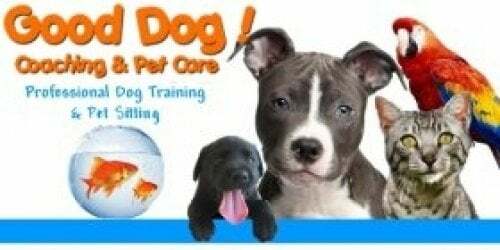 You may also consider doggie daycare so he can interact with other dogs. Take him to the dog park, set up play dates or hire a dog walker. Also keep in mind that your dog is a reflection of your emotions. If you're depressed about your child going off to college, your dog will sense that and respond accordingly. For many families, when a child goes away to college the whole family feels a sense of loss. If you have a child that will be leaving the nest or just going back to school after summer break start preparing your dog before the event actually happens by changing up his routine a bit. Purchase some interactive toys to get him engaged in positive activities and brain stimulation. If the child who is leaving is the main caregiver/playmate to the dog you might think about hiring a dog walker to increase the level of exercise and activity your dog receives as well as some one on one time for affection. And doing this before the child goes away will make for a smoother transition when your child finally departs. Similar techniques work with cats. Have another member of the family try to replicate the cat’s routine as closely as possible, including meal times and play times. Also have the cat sleep with someone else if it was used to sleeping in the bed of its favorite person. Ultimately, the best remedy is spending quality time with your pet. Don’t have time? 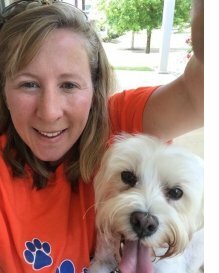 Hire a professional pet sitter/dog walker to come in a few days a week to engage your pet in some one on one activities and a little extra love. It can make all the difference! 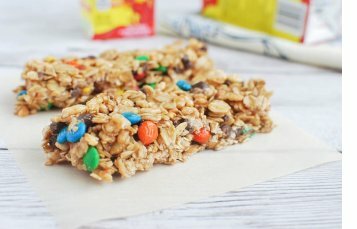 yummy No Bake Granola Bars. These are great for snacks and lunch boxes!